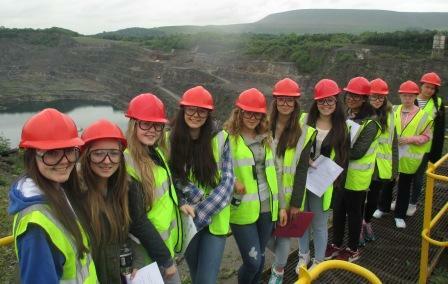 Westholme’s Year 9 pupils visited Hanson Cement, Clitheroe as part of their GCSE Chemistry course. The pupils were able to see how limestone is turned into cement, starting from rock in the quarry to powder in bags and silos. 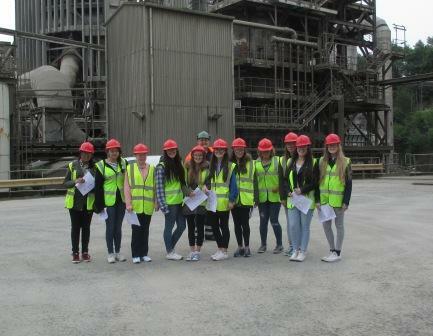 It gave the girls the chance to see chemistry in action on a grand scale and to experience the working conditions in this important branch of the chemical industry – dust, dust and more dust! The pupils were impressed by the scale of the site and were appreciative of all the information from the friendly and enthusiastic guides!